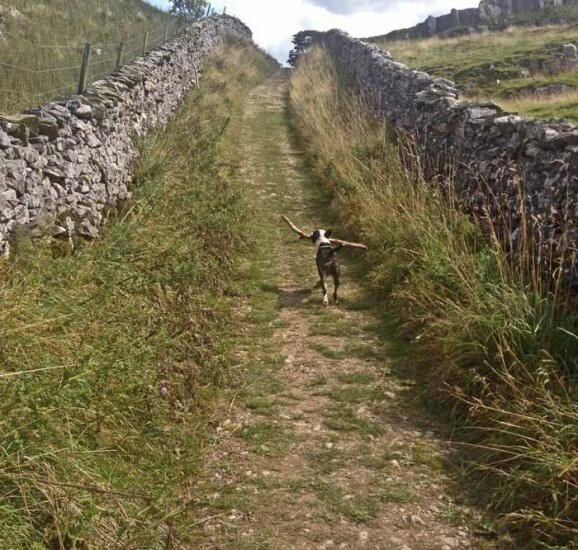 This traditional Yorkshire Dales cottage is situated in a row of terraced cottages on the outskirts of the village of Stainforth, North Yorkshire. 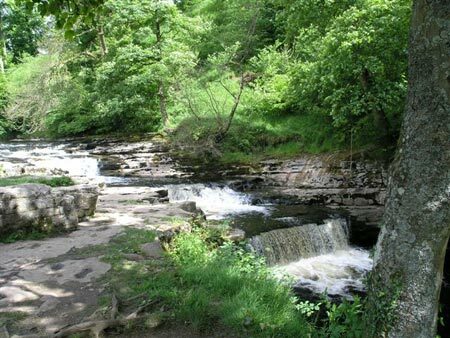 Stainforth is a small, picturesque village in the Yorkshire Dales National Park situated about 2 and a half miles from the quaint market town of Settle, in the Ribble Valley. 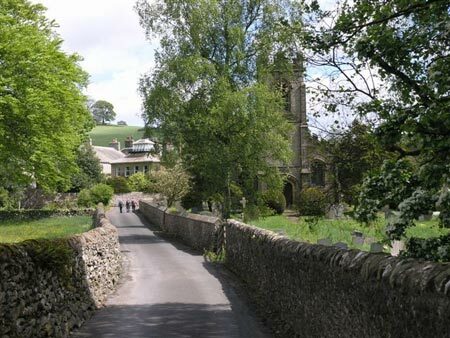 It provides an ideal base for touring the Dales and the Lake District and is within easy reach of Malham, Hawes, Dent, Ingleton, Kirkby Lonsdale, Clitheroe and Skipton. The famous Settle/Carlisle railway runs past the village and Ribblehead viaduct is nearby. 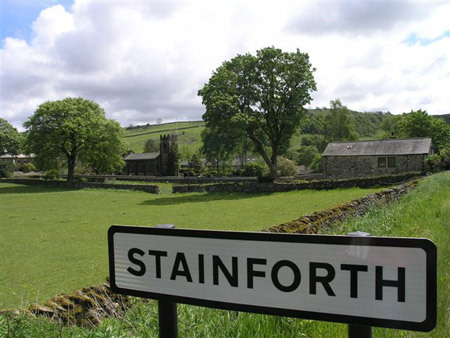 Stainforth village is also ideal for walking, with several listed walks from the village itself. 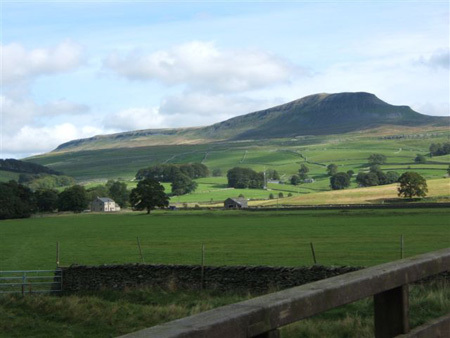 Penyghent, of the 3 Peaks, is approximately 4 miles from Stainforth, and there are 2 waterfalls in the area. 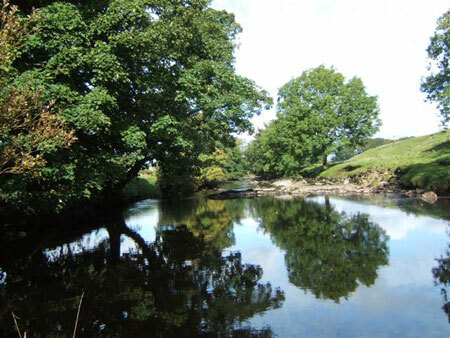 Salmon, sea trout, trout and grayling fishing in the River Ribble are by arrangement in season. 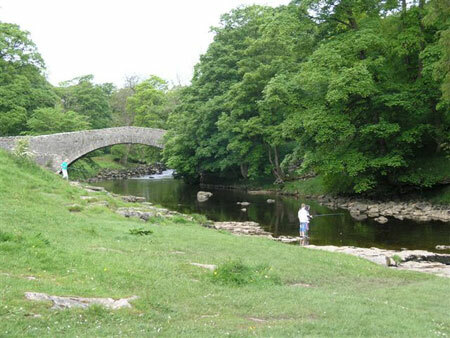 Stainforth village has a mountain stream running through it with stepping stones to the village green. 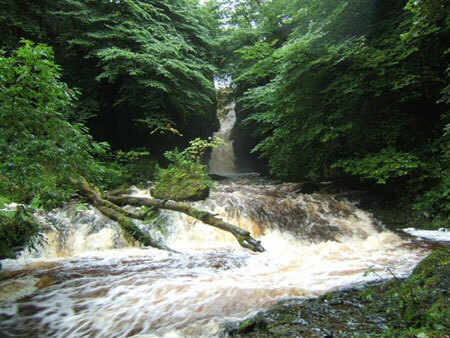 Catrigg Force is reached by a footpath out of the Village. Stainforth has a church, public telephone and a ‘pet friendly’ pub, the Craven Heifer, with separate dining room and darts/TV room. The pub serves bar snacks and evening meals. 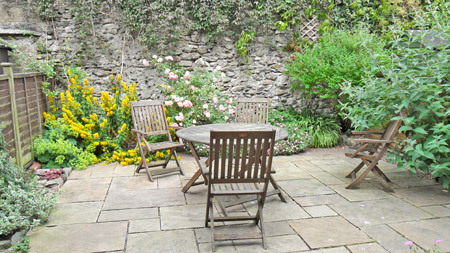 There is an outside seating area beside the beck. 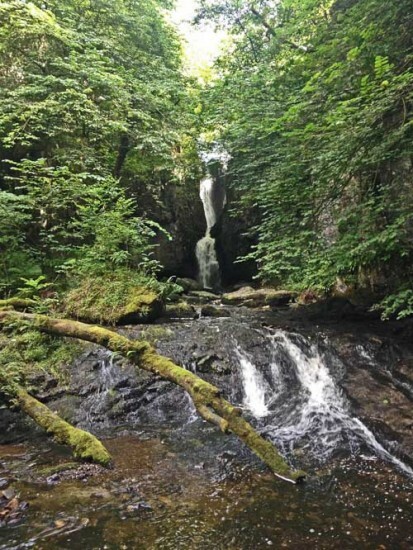 The traditional market town of Settle is just a short drive away and is home to a comprehensive range of shops, supermarkets, pubs, cafes, restaurants and facilities. 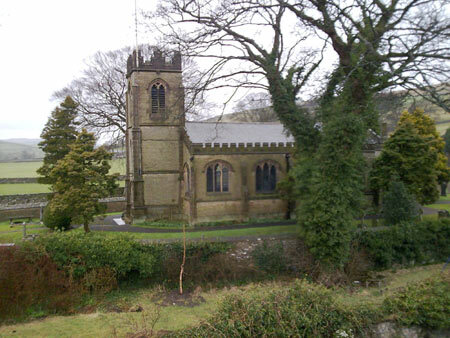 The picturesque village of Giggleswick is also near by. More details about the area can be found here. 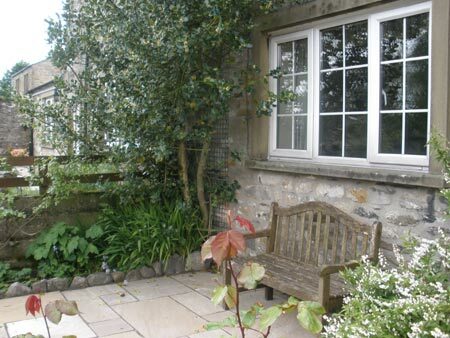 Whatever your interests, we are sure that you will enjoy your stay at 2 Hollies Cottages! 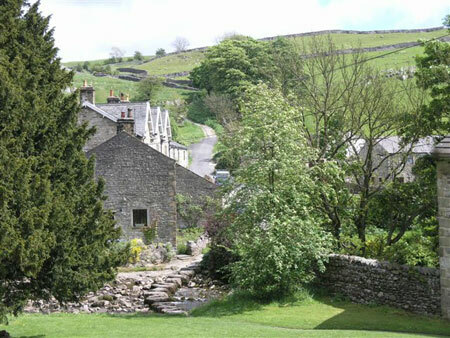 2 Hollies Cottages is a mid terraced stone cottage in the picturesque village of Stainforth. It features a multifuel stove and is traditionally furnished throughout. 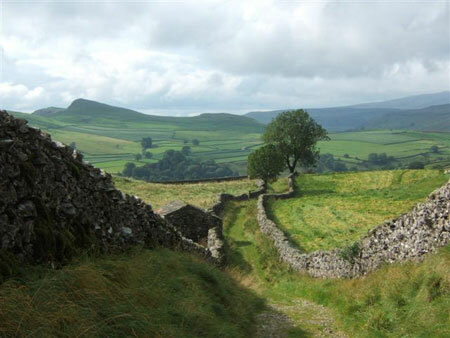 Resident in Stainforth myself, I saw an opportunity to share our beautiful countryside and wonderful walks. The holiday cottage has been running successfully for 30 years and has many regular visitors and their pets!